David Chappell is vice president and chief technologist for SOA at Oracle Corporation. Chappell has over 20 years of experience in the software industry covering a broad range of roles including Architecture, code-slinging, sales, support and marketing. He is well known worldwide for his writings and public lectures on the subjects of Service Oriented Architecture (SOA), the enterprise service bus (ESB), message oriented middleware (MOM), enterprise integration, and is a co-author of many advanced Web Services standards. As author of the O�Reilly Enterprise Service Bus book, Dave has had tremendous impact on redefining the shape and definition of SOA infrastructure. He has extensive experience in distributed computing infrastructure, including ESB, SOA Governance, EJB and Web application server infrastructure, JMS and MOM, EAI, CORBA, and COM. Chappell's experience also includes development of client/server infrastructure, graphical user interfaces and language interpreters. Chappell is also well noted for authoring Java Web Services (O'Reilly), Professional ebXML Foundations (Wrox) and Java Message Service (O'Reilly). In addition, he has written numerous articles in leading industry publications, such as Business Integration Journal, Enterprise Architect, Java Developers Journal, JavaPro, Web Services Journal, XML Journal and Network World. 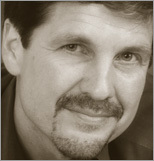 Chappell and his works have received many industry awards including the "Java� Technology Achievement Award" from JavaPro magazine for "Outstanding Individual Contribution to the Java Community" in 2002, and the 2005 CRN Magazine �Top 10 IT leaders� award for �casting larger-than-life shadow over the industry�.